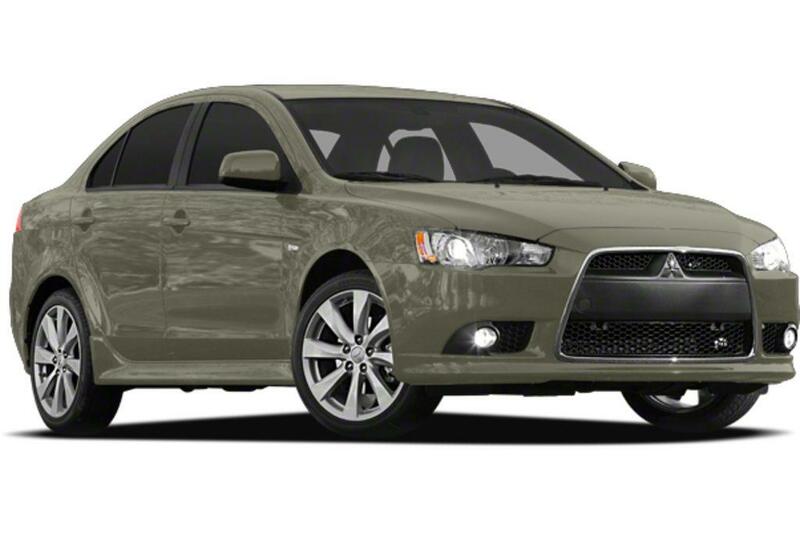 2009-2012 Mitsubishi Lancer sedans produced between March 20, 2008, and Nov. 17, 2011. 2010-2012 Mitsubishi Lancer Sportback sedans produced between June 17, 2009, and Nov. 15, 2011. 2008-2012 Mitsubishi Outlander sport utility vehicles produced between June 25, 2008, and Nov. 16, 2011. 2011-2012 Mitsubishi Outlander Sport SUVs produced between Aug. 26, 2010, and Dec. 15, 2011. The Japanese automaker suspects all the vehicles referenced in the recall contain the defective features. The models included in the safety action could contain drive belt automatic tensioners whose flanges are prone to cracking. Such an event could lead to complete drive belt detachment, resulting in the immediate termination of engine and power steering operations, and increasing the likelihood of an accident. As a result, the defective part poses a serious threat to occupants. However, Mitsubishi has not received reports connecting the any accidents or injuries to the defect. 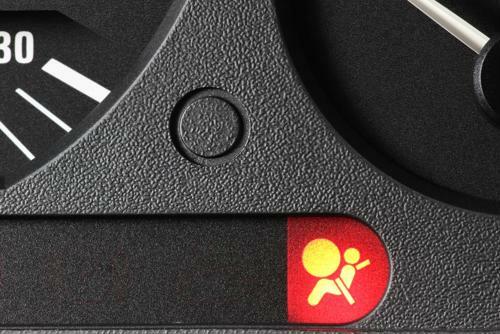 Drivers with vehicles on the verge of shutting down due to drive belt automatic tensioner fracturing will see the battery charge warning light illuminate. Mitsubishi received a field report in September 2010 describing an instance of automatic tensioner breakage. This prompted the company to launch an investigation into the issue to ascertain a root cause. In December 2011, engineers for the automaker found that production staff had swapped the bearing in the automatic tensioner for a lead-free alternative in March 2008 and suspected that the new product was cracking when operating in high-load environments. Mitsubishi reshaped the bearing to reduce surface stress and initiated a field monitoring campaign with an expiration date of November 2015. In December 2015, the car manufacturer reviewed the results of the four-year field monitoring program and began another program scheduled to conclude in January 2018. Last month, Mitsubishi conducted another data review and found the occurrence of automatic tensioner breakage was higher than expected and increasing. The company called for a voluntary safety recall Jan. 19 to address the problem. Mitsubishi intends to direct dealers to replace the drive belt tensioners in affected vehicles free of charge, according to an NHTSA recall acknowledgment document. The automaker will notify dealers Feb. 9 and reach out to owners via first-class mail March 27. Those in need of more immediate assistance can contact Mitsubishi customer service at (888) 648-7820. Callers should use the internal recall identification code SR-18-001. Owners can also contact the NHTSA using its Vehicle Safety Hotline at (888) 327-4236. 2008-2010 Mitsubishi Lancer sedans produced between Jan. 15, 2007, and March 3, 2010. 2009-2010 Mitsubishi Lancer Evolution sport sedans produced between Sept. 1, 2008, and Oct. 30, 2009. 2010 Mitsubishi Lancer Sportback sedans produced between June 17, 2009, and Oct. 30, 2009. 2007-2010 Mitsubishi Outlander sport utility vehicles produced between Sept. 8, 2006, and Nov. 3, 2009. The automaker suspects all vehicles referenced in the action contain the defective components. Affected models feature improperly manufactured polyurethane sunroof frames that may degrade in humid or high temperature environments and lead to complete detachment of the sunroof glass. This poses a serious safety risk to occupants, as the falling glass could not only cause injury but also increase the likelihood of an accident. 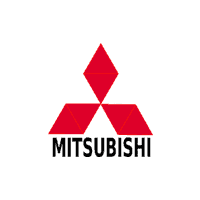 That said, Mitsubishi has not received reports connecting the defect to accidents or injuries of any kind. Mitsubishi received a field report from the Japanese market in March 2015 detailing an instance in which the sunroof glass installed in a vehicle detached from the sunroof frame. This prompted the company to launch an investigation in collaboration with its sunroof assembly supplier, the Webasto Japan Company. Between April 2015 and December 2017, the two parties carried out detailed field investigations and performed internal tests in an effort to duplicate the outcome described in the original report. In December 2017, Mitsubishi engineers confirmed that Webasto had changed the polyurethane material it used in its sunroof frames in 2009, switching to a more aesthetically appealing alternative that also seemed to exhibit better bonding. The report received in the March 2015 seemed to contradict this assessment and Mitsubishi deemed the material defective, postulating that it lost bonding power in hot, humid weather. On Jan. 19, the automaker initiated a voluntary safety recall to address the problem. Mitsubishi intends to direct dealers to replace the sunroof assemblies in affected models free of charge, according to an NHTSA recall acknowledgment document. The company plans to notify dealers Feb. 9 and reach out to owners via first-class mail March 27. Those in need of more immediate assistance can connect with Mitsubishi customer service personnel at (888) 648-7820. Callers should use the internal recall reference code SR-18-003. Owners can also reach out the NHTSA directly using the agency’s toll-free Vehicle Safety Hotline at (888) 327-4236. Mitsubishi Recalls 227,000 Vehicles in the U.S.: Automaker reportedly makes move to repair glass sunroofs and parking brakes. Mitsubishi Motors North America recently issued a recall for a relatively small number of its i-MiEV subcompact cars from the 2016 and 2017 model years, citing issues with air bag inflators, according to a letter filed with the National Highway Traffic Safety Administration. Specifically, the defect in these vehicles relates to certain air bag inflators that are part of passenger front air bag modules, which may suffer inflator rupture in the event of a crash, caused by “propellant degradation” as a result of long-term exposure to humidity and temperature changes. Cypress, California – Dec. 21, 2017 – Mitsubishi Motors North America recently issued a recall for a relatively small number of its i-MiEV subcompact cars from the 2016 and 2017 model years, citing issues with air bag inflators, according to a letter filed with the National Highway Traffic Safety Administration. The recall affects just 144 vehicles from the model years above. When the 2016 and 2017 i-MiEV vehicles in the recall are exposed to high humidity for long periods of time, the propellant in the air bag module will degrade and cause a failure of the inflator. If this happens, metal fragments may launch from the air bag compartment in the event of a crash, and potentially cause serious injury or even death to vehicle passengers. Recall notices began being issued Dec. 15, 2017, to both owners and dealers, one week after the manufacturer filed its initial report on the issue. Repairs related to the recall were expected to begin that same day. Owners of affected vehicles are asked to bring their affected i-MiEVs to a local dealership, where repairs will be conducted free of charge to replace the passenger side frontal air bag inflator. Owners are encouraged to contact Mitsubishi’s customer service line at 1-888-648-7820 if they have any questions about the issue or the recall itself. They can also contact the NHTSA’s Vehicle Safety Hotline at 1-888-327-4236. Mitsubishi is recalling nearly 84,000 small cars in the U.S. because the air bags may not inflate in a crash. The recall covers certain Mirage models from 2014 through 2018. The company says the safety restraint computer can interpret road vibrations or a flat tire as a sensor error and disable the car’s seven air bags. Mitsubishi Motors Corp. is recalling 161,167 vehicles in the U.S. and Canada because electric relays can cause the engine to stall or overheat.